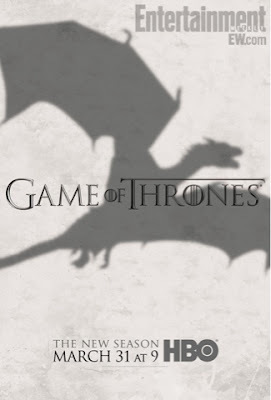 WillingToBeLucky.net: ICYMI: 'Game of Thrones' Trailer Number Two! By now, I doubt you AREN'T excited about the Game of Thrones season three premiere in just THIRTEEN days! And HBO has released another fantastic trailer in an attempt to tide us over. So much GoT related stuff happening this week! The premiere is tonight in Los Angeles with much of the cast in attendance! Oh, how I wish I could go...! And Emilia Clarke's Breakfast at Tiffany's officially opens on Wed.! I WILL be around for that one! What do you think of the new trailer? It makes me just want more! March 31st, be here NOW!